Tom is an Annapolis native. His first job was a dishwasher at Busch’s Chesapeake Inn at age 14. At age 18, he moved to the island of St. Croix in the U.S. Virgin Islands. The plan was to stay for 2 or 3 months and enjoy island life before starting college. However, the trip lasted for ten years. During this time, Tom attended the University of the Virgin Islands. While in the Caribbean, Tom worked at a trendy family-run hotel named Club Comanche. It was here that he learned the basics of cooking and restaurant management. Hurricane Hugo devastated the island of St. Croix in 1989, and Tom moved back to Annapolis in 1990. Tom graduated from the University of Maryland and completed his Master’s Degree in Business / Financial Management. Tom, along with his business partners, also owns the very popular Federal House Bar & Grille located on the City Dock in downtown Annapolis, and the Bayside Bull, an Edgewater institution. Tom manages the operations of Main and Market and the business office. He is an active member of several restaurant trade associations and is a member of the golf committee for the Hospice of the Chesapeake. Currently, he lives in Annapolis, MD with his wife, Sue. Evie was born in Chicago to an Italian mother who is a fantastic cook and baker and a father who loves to sail the Chesapeake Bay. Their love to entertain on the water or at home influenced her at a young age for food and friends. Her 1st catering job was at 14 years of age which kept her busy as she attended St. Mary’s High School in Annapolis. Whether catering on weekends, on holiday break from Roanoke College or choosing to turn it into her career in 1997, Main & Market has been a constant in her life. Evie Turner has come full circle with Main & Market. Evie’s passion for catering and attention to detail continues her drive to create the ultimate catering experience. She has completed numerous years of Catersource Seminars and is a member of the International Catering Association. Main & Market honored Evie in 2002 for YWCA TWIN (Tribute to Women in Industry) and continues to stay involved with the YWCA of Annapolis and Anne Arundel County. 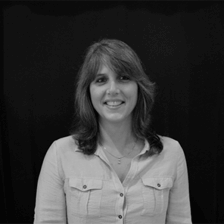 Evie uses her creativity and experience to assist and guide the Main and Market Team. Evie resides in Severna Park with her husband, Arnold, daughter Claire and her son, Patrick. 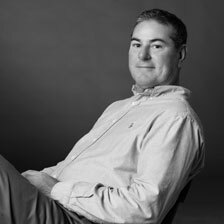 Brett Cureton was born in Charleston, SC and raised here in the Annapolis area. He has devoted over 18 years of culinary expertise to Main & Market. Throughout his career at Main & Market, Mr. Cureton has demonstrated leadership skills as Head Pastry Chef, Line Chef and his current position, Executive Chef. 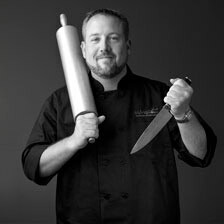 His love for culinary arts started as a teenager while living in Ireland where he studied Epicurean cooking. Cureton returned to the States to further pursue his culinary career at Baltimore Culinary College where he was a double major earning the following degrees: Restaurant Cooking and Management and Pastry Chef. Cureton has also been the Mid-Atlantic winner of the James Beard Dessert Competition. Along with his passion for food, Cureton enjoys sailing so much he has become an avid racer on two of the top sailing teams here in Annapolis. He also enjoys volunteering with The Maritime Republic of Eastport. Of course, we cannot leave out his love for his newly rescued German Shorthair Pointer, Matilda. Debra Darrow joined Main & Market in summer of 2008. She arrived with a background of event planning for a major real estate company. This experience, combined with Debra’s passion for personal entertaining, made her a natural for catering sales. Her attention to detail and love of people make Main & Market a perfect fit. Debra welcomes you to try Main & Market the next time you want to wow your guests or impress your client. Jennifer was born in Augsburg, Germany into a military family; she has lived in numerous states as well as overseas. While affiliated with the military, Jennifer was head FRG (Family Readiness Group) leader, and in charge of all fundraisers, soldier care packages, and many events, this sparked her love for the industry. Once Jennifer moved back to Millersville, MD with her two children Madison and Mason, Main and Market welcomed her with open arms. Jennifer started her career as a server at Main and Market with no experience and quickly moved up to Lead and Prop Management. After two years Jennifer was promoted to Staffing Director/Catering Manager. 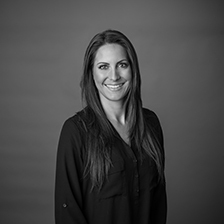 Jennifer takes pride in developing customer relationships, supervising catering teams, ensuring client satisfaction, as well as, supporting the firm’s excellent image. In her free time, Jennifer enjoys ballroom and salsa dancing as well as other numerous activities with her family and friends. The Main and Market team has become an extended family to her, and she cannot wait to see what the future holds. April celebrates Fifteen years as our Office Manager. She is affectionately known as the “Voice and Glue” of Main & Market. 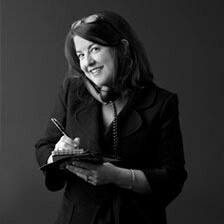 April comes to us with over Fifteen years of Customer Service Management. Her consistent positive attitude lends light to the workplace worthy of sharing. April’s professional approach to company business is noticed by all who come in contact with her. She maintains the functional flow between our Catering Sales Team, Kitchen and Accounting Office. April was honored as our 2009 YWCA Twin recipient. April would quote that “Success would be nothing without someone to share it with.” Her personal and professional achievements can be accredited back to an active family base, a supportive extended family and a grounded belief in God. She is grateful for loving and accomplished parents, solid work ethics which began early in life, and a commitment to academic achievement. April strives to provide a positive role model for her son who is continuously influenced by her success. Christina is a native Annapolitan who has been fascinated by the food and beverage industry from an early age. She has made the hospitality industry her passion for over the past two decades. 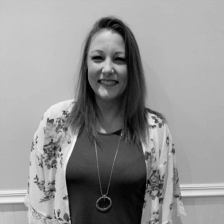 Christy started in the industry in high school and worked her way up to hosting, waiting tables, bartending in college and becoming a regional restaurant training coordinator and shift leader in her early 20’s. 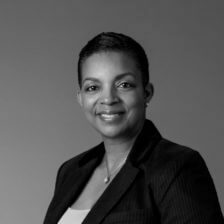 As a 2001 Towson graduate with a degree in Advertising, she is a vital part of the Main & Market marketing team. Early in her career Christy was an event planner in Washington D.C. and catered countless weddings. This including events for the President of the United States, The Smithsonian Group, various Embassies, and Fortune 500 companies. 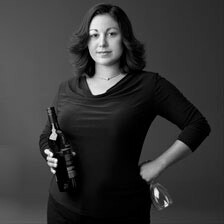 She then studied at the Culinary Institute of America in Napa Valley where she continued to further her education in food and wine, worked for two prominent corporate restaurant groups. Christy began working for Main & Market in 2008 as the General Manager for the Café. She was the General Manager for ten wonderful years and now is the Controller for both Main & Market and Federal House Bar & Grille overseeing finances and assisting in managing day-to-day operations. 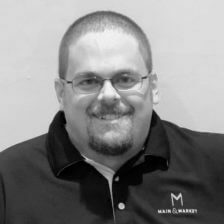 Mike was born and raised in a small mountain town in Western North Carolina and has been living in Annapolis full time since 2015. His background in the food and beverage industry started at age 14 as a dishwasher at a deli in his hometown. He had no idea that his first job would lead to a love and passion for culinary arts. Lila Wrye is a native Texan from the capital city of Austin. After graduating from high school, she attended classes at the Texas Culinary Academy while working in photography. Lila has a lifetime love of baking and fine foods, and began employment in the bakery at Main & Market upon moving to Annapolis in 1999. By 2012, Lila was promoted to Bakery Manager and continues to win Annapolis’ Best Desserts. She lives on Maryland’s eastern shore with her husband, son, and daughter. At home, movies, cooking, and outdoor activities with the family occupy her time. Brendan was born in raised in the Annapolis area. He attended St. Mary’s School in Annapolis for 12 years. He attended Widener University in PA and graduated in 1998 with a Hospitality Management degree. Brendan returned to Annapolis to begin his career in the Hospitality industry as AGM. He then moved over to take a position with Phillips Seafood at their Annapolis location where he was a team leader as well as the hiring and training coordinator for more than ten years. He then left to take a management position with the Greene Turtle. Brendan helped open several stores as well as led the busiest store in the company as General Manager at the BWI airport. Brendan joined the Main and Market team as General Manager of the Café in Jan of 2018. Brendan lives in Annapolis and is an avid concert goer and a football fanatic! Ryan grew up on the Eastern Shore in Stevensville, Maryland with his parents and younger brother. Ryan graduated from Queen Anne’s County High School in 2003. Ryan developed his love of cooking by watching his Father prepare dinner for the family. He credits his Mother for allowing him to cook the recipes from the back of the Bisquick box! Ryan’s first culinary position was as a busboy for Holly’s on the Eastern Shore. 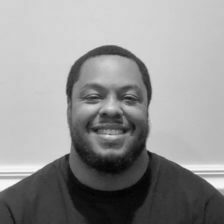 During High School, Ryan began working as a line cook at various restaurants on the Eastern Shore to include Kentmoor, Fisherman’s, Harris Crab House. In 2013 Ryan was offered an opportunity to work at a new eatery in Millersville, MD. 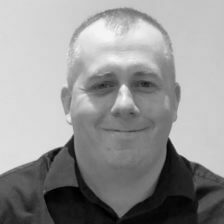 He officially joined the Main and Market team in the summer of 2018, and we are pleased to have him. His dinner specials are a delight! Ryan has three sons, Elijah, Brayden, and Nolan. He enjoys hanging out with them and watching them play sports. Ryan is an avid gamer, a lifelong Redskin fan and loves to cook for his family. 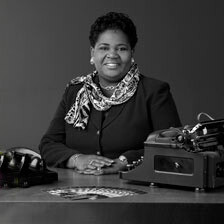 Nanette Williams was born in Annapolis, MD. She graduated from Annapolis Senior High School and continues to have several local connections. In 1984 Nanette joined the United States Navy and was stationed in Norfolk, VA. After four years of service, Nanette was Honorably Discharged. She began working with the United States Postal Service continuing her dedication to the United States, developing her personal touch. After ten years of service, Nanette left the postal service for modeling and acting. In 2003 she moved to Los Angeles, CA where she did background work on a host of tv shows, and movies. It was here in Los Angeles that she began working on set productions, and with event planners and realized that she enjoyed this line of work. In 2006 she returned home, to Annapolis and began working with a commercial management company as a receptionist. She continued there until she heard about Main and Market. In 2008, she started working with Main and Market as a server, and shortly after that she was moved to a Lead position on her first wedding, which she says, “was terrifying.” After many successful events, she had received a promotion to Director of Staffing for Main and Market, and the past year and a half, she has been working as a full-time Sales Consultant – which she loves. Nanette still goes out on service jobs and continues to drop her wisdom notes, “everything must have a purpose” you will hear her say. She is thankful for her upbringing, God-fearing parents, grandmother, and great-grandmother who were all incredible cooks. Nanette is affectionately known as the “Lead” by her children, who have worked with Main and Market as servers, and gets a kick out of her need to have everything in its place and placed with purpose, even at home, or her husband’s business. She enjoys decorating and redecorating spaces with the same pieces that, somehow looks brand new when she’s finished. 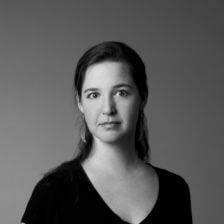 Julie Ryan was born and raised in the Annapolis area. She learned the art of cooking from her grandfather, Pasquale, who was the executive chef at The House of Representatives in DC. Culinary arts has always been her passion, and she began catering at the age of 12. After high school, Julie enrolled at Anne Arundel Community College in the HCAT program until transferring to Santa Monica College in California shortly after that. Once in LA, she continued to work in hospitality services and event planning for the entertainment industry. After relocating back to the Annapolis area, Julie has since joined the team at Main and Market to continue to use her knowledge of and expertise of the hospitality industry as a Sales Consultant. 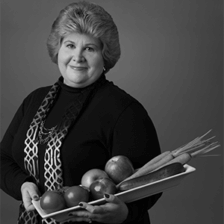 Diane’s formal training began in the mid-’80s when she obtained an A.S. degree in Culinary Arts and a B.S. in Food Service Management from Johnson & Wales University in Providence, RI. Diane has been in the food industry for the past 30 years. She has held various management positions including event planning and has trained with some top-notch chefs and managers for hotels, restaurants, country clubs and food service companies. In 1994 Diane joined the Mandarin Oriental Hotel Group in San Francisco, CA where she held several management positions. The Mandarin (a member of The Leading Hotels of the World and ranked as one of the top hotels in the US) inspired her to travel and allowed her to live overseas, attending cooking courses and experiencing a broad array of truly local cuisines. Since moving to Annapolis, Diane has owned and operated her own chef/catering company and taught as a culinary instructor at Anne Arundel Community College. In her spare time, Diane likes to enjoy sports, live music, being with family and traveling whenever possible. 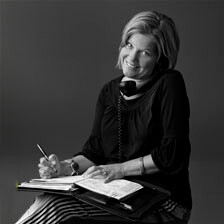 Diane Prout joined the Main & Market team with over 17 years of Print Production and Customer Service Management. She has a unique perspective on our private school lunch program, as her child attended one of our participating private schools. Diane recognizes how valuable an online, well-balanced, and user-friendly lunch program is to a private school and their families. She has an insight into what the parent expects, and the student enjoys in our lunches. She believes customer service is just as outstanding as the lunches we serve. Diane enjoys traveling with her family, horseback riding, and time spent with friends along the Chesapeake Bay.